Haven’t seen too much traction for Otemanu online, although it was only released 3 months back. But that’s what it is all about! Discovering music and getting people to engage and converse about THAT track they have just found and love listening to on repeat! I love an emotive number. Otemanu is just that. Of course, there is piano / keyboard and a deep beat. But it’s the slight deviations, such as at 2:30 mins when the track slows and bird like jungle sounds play over the track. Bliss! For me, this is a track where I want to listen to it on my own and be in my own world (as an only child, that can be quite easy to do ;)). That doesn’t mean to say I won’t share this track with others. As I said earlier, this is a track I have on repeat and encourage people to listen to. The perfect listening environment to me, is anywhere where I can quieten down my mind and relax. Could be to take the time to daydream, or figure out a tricky situation, or just simply stare at a blade of grass and admire how green the grass is! Otemanu is one of those tracks that has taken me little time to write about. I love it when that happens. Sometimes, you have a track that you want to write about because you love it, but you haven’t quite worked out why you love it. And some, just instantly have an impact. Gadi is no novice to DJing, he has been around many years and currently plays regularly in his home nation of Turkey. 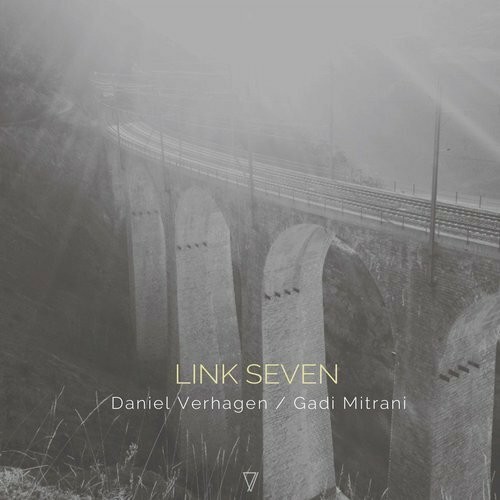 You may also start to notice a number of Gadi Mitrani’s tracks in a host of mixes from the likes of Hernan Cattaneo and Powel. The label that released Otemanu is Seven Villas, a label we have mentioned before. They are massively on the deep melodic house vibe. Other artists of theirs that I would suggest checking out would be - Daniel Verhagen. Infact, Otemanu can be found in the EP - Link Seven . A dual release by both Daniel and Gadi themselves.